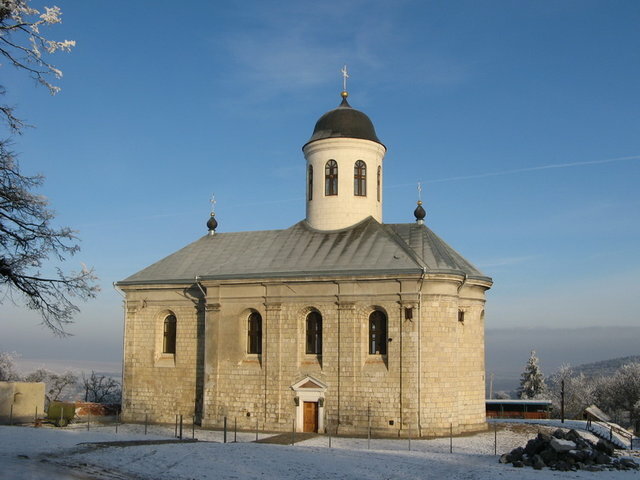 Successor of the boyar family Marko Shumlianskyi in 1584-1586 built a white stone Assumption Church near the Assumption Cathedral’s ruins, which was destroyed by Turkish and Tatar invasion in 1676. The church was restored during the bishop Yosyph Shumlianskyi in 1702. In the course of First World War the traditional dome completion was ruined. Today it serves as a parish Greek-Catholic Church.